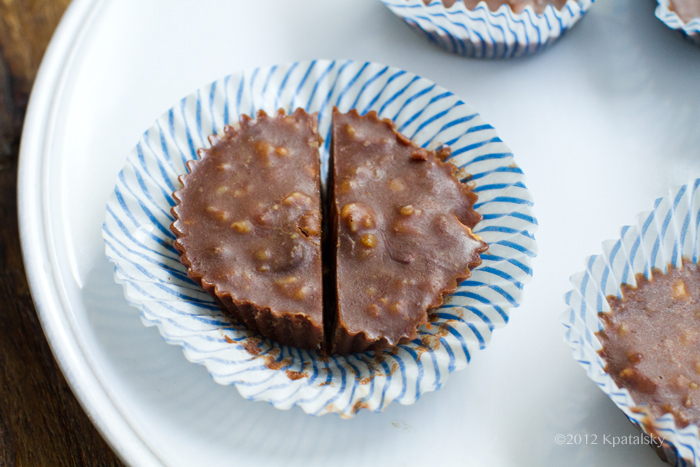 Easy Maple Walnut PB Cups! 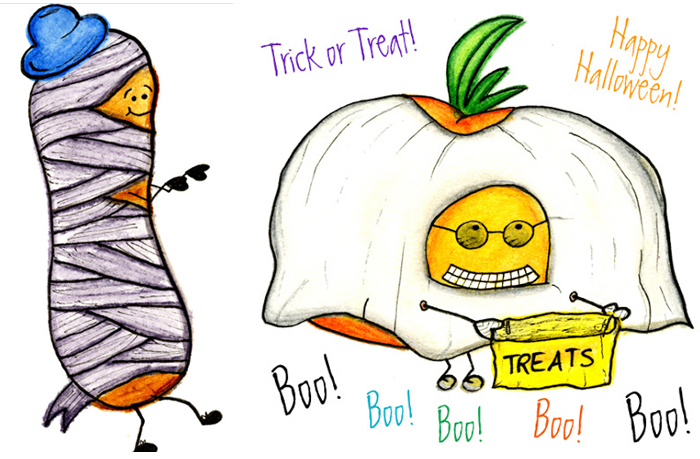 Don't you dare try and fight that craving for "Halloween candy" this time of year. Embrace it! 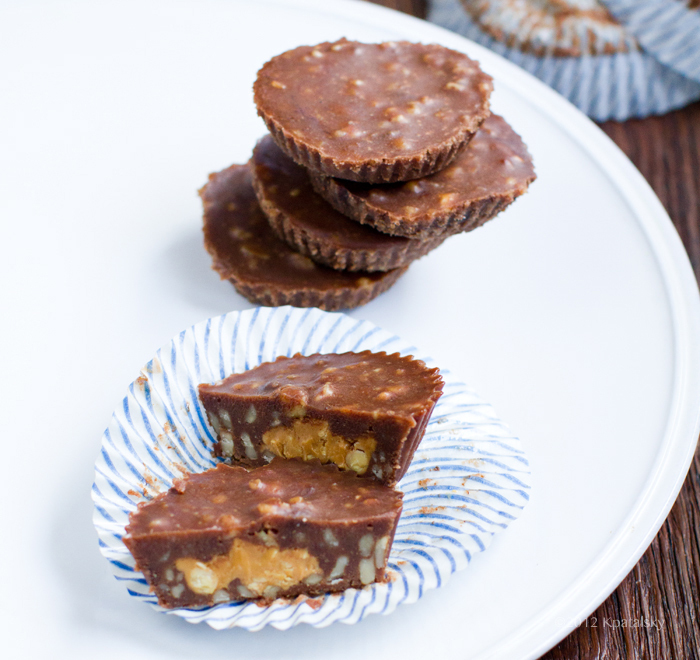 By making your very own homemade peanut butter cups. 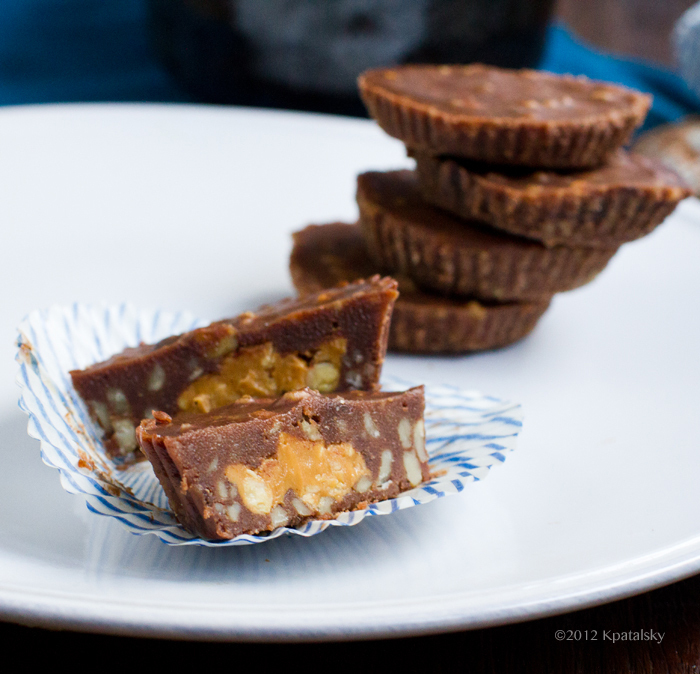 Because really, aren't peanut butter cups just about everyone's fave candy anyways? 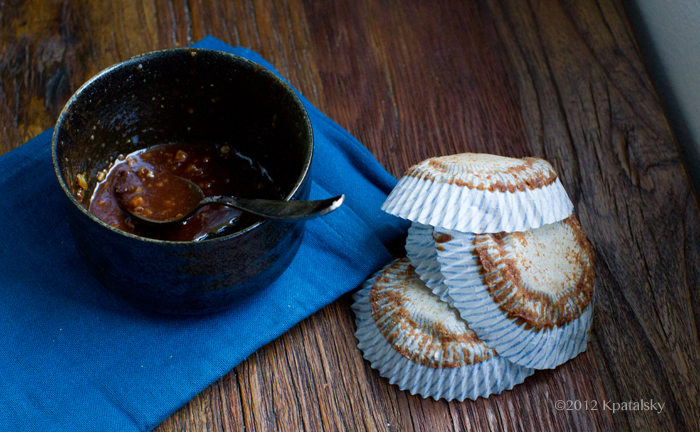 These precious little gems take only about 20 minutes to make from start to first bite! And they are waaaay healthier than ANYTHING you will find on a store shelf. 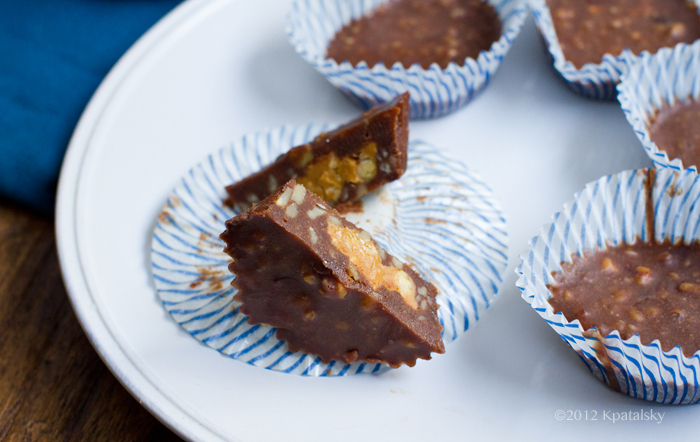 Just FIVE ingredients and totally to-die-for delicious. 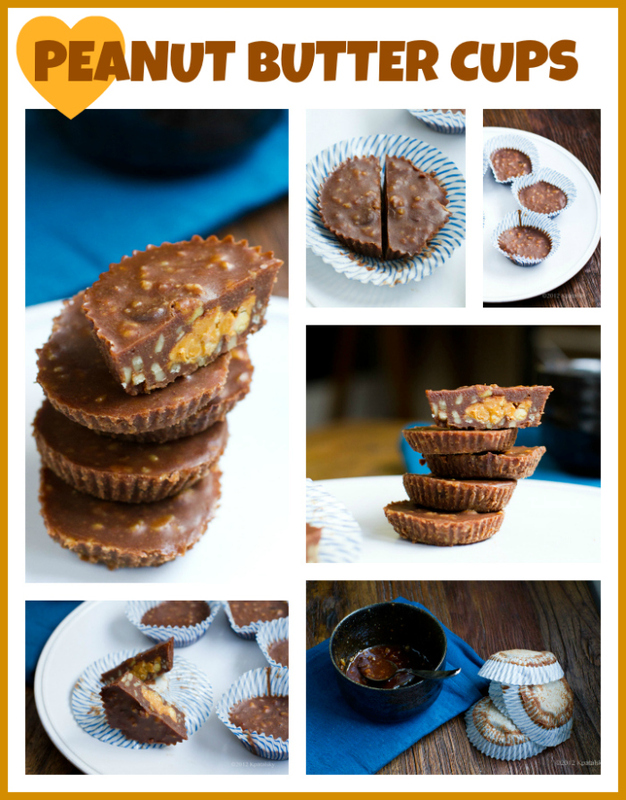 Make these and "treat" yourself ;) ..
1. 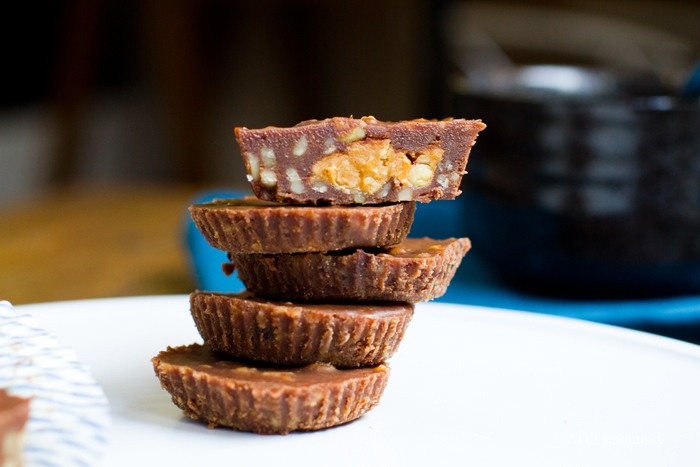 Process the walnuts in a Vitamix or food processor until a chunky "walnut meal" forms. 2. Combine the walnuts with the maple syrup and salt in a small bowl. Add in optional vanilla and cinnamon too. 3. 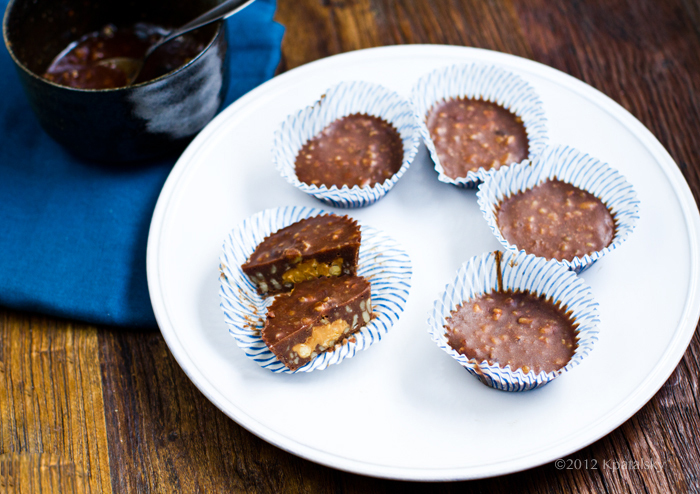 Add the coconut oil and chocolate to another small bowl and microwave for a few seconds (about 30) and then stir briskly to melt the chocolate with the oil. If you need a few more seconds in the microwave, go for it. 4. Combine the chocolate mixture with the walnut mixture. 6. 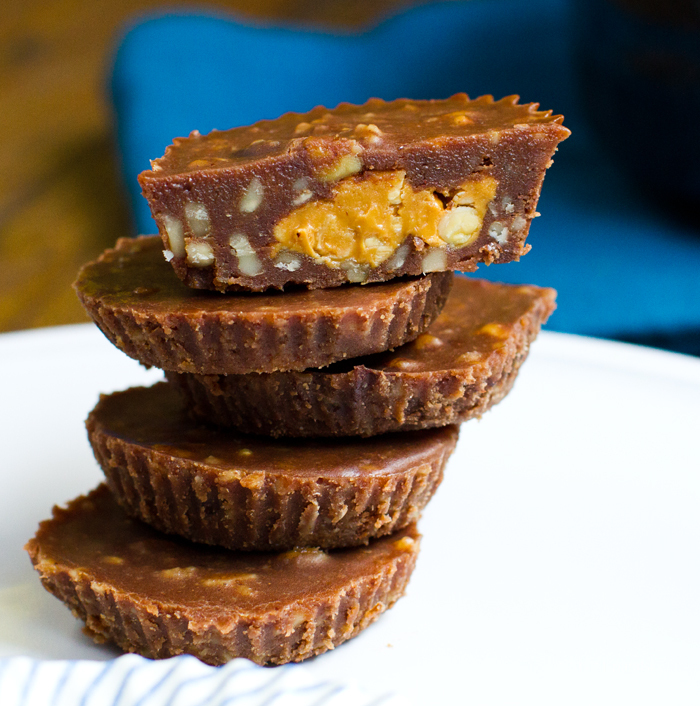 Add 1 Tbsp chocolate mixture, then add about 1/2 - 1 tsp peanut or almond butter, then add another layer of the chocolate mixture to cover the nut butter. 7. Continue until you make all your cups. 8. 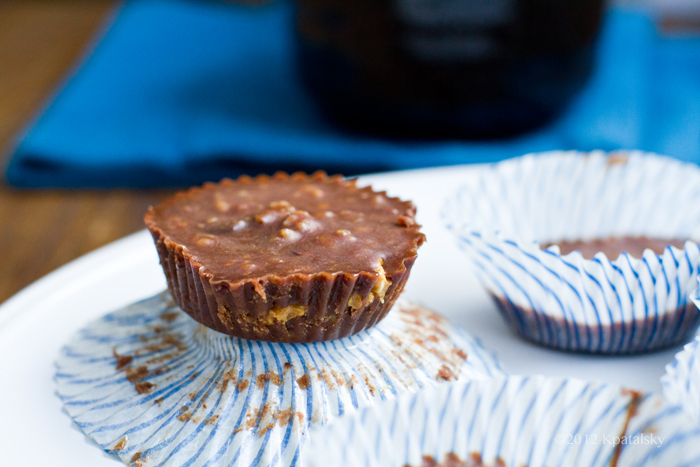 Place in the freezer until firm enough to eat, usually about 10-15 minutes, but longer if your cups are extra large. Store uneaten cups, covered, in the freezer. And allow to that a minute or so before eating. My husband LOVES them crumbled and served over top vegan frozen yogurt. I like to just nibble on them straight from the freezer. 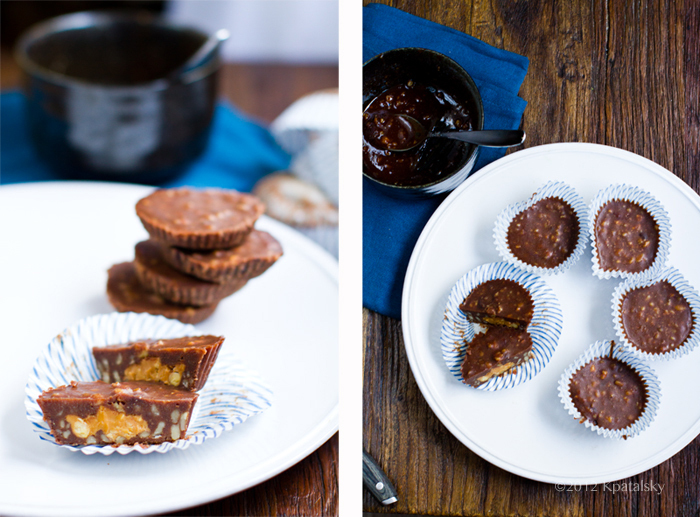 Check out more of my homemade Halloween chocolate treats here.